Posted by Jeff (ILoveCapitalism) at 1:00 pm - May 22, 2017. Probably more than any other country, Saudi Arabia has “hacked our democracy”. I keep meaning to write a post on their ownership share of U.S. media, and why they would be on board with a “Trump is a Russian agent!” narrative. During the election, Trump rightly criticized Hillary for taking money from the world’s worst country for women and gays. And he had a nasty Twitter exchange with a Saudi prince. I’m not at all sure this is good news. How is it different from what any pet of the Deep State would have done? 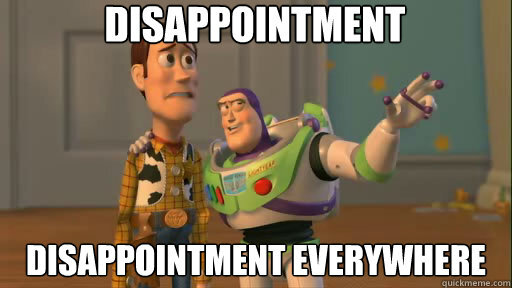 (Obama, Hillary, Jeb Bush, Lindsay McCain?) I don’t know. Does it boost U.S. jobs as much as Trump says? I don’t know. Does it put U.S. defense technology in the hands of people who hate us? Probably. Does it mean that Saudi-controlled elements of U.S. media will ease their war on Trump? I don’t know. And then he spelled out the results of that hatred, presenting first a roll call of some of the “barbaric attacks” on America – 9/11, Boston, San Bernardino, Orlando – and then a list of other places (“Europe, Africa, South America, India, Russia, China, and Australia”) where that hatred has manifested itself. Posted by Jeff (ILoveCapitalism) at 10:14 am - November 13, 2016. 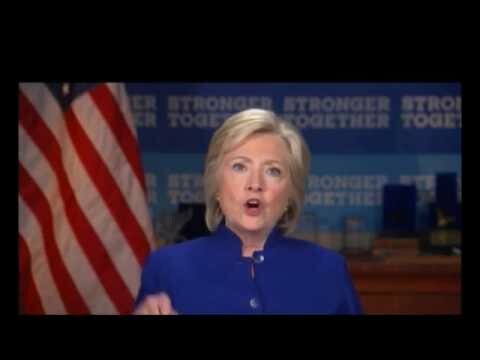 I think this “Why aren’t I 50 points ahead?” clip is a window into the soul of our dear Lady Bug Eyes. Turn off the sound and watch for what’s in her heart. You may have a different impression, but I see something in her that could have started as frustration except it took a dark turn, into malice. To me, she looks like she wants revenge on the world. Mind you, this is pre-election and how she asks for some people’s votes. On to a couple of articles. More on Hillary’s conference call with her rich donors. V touched on this earlier. Camp Bug Eyes’ spin is that the media “eviscerated” Hillary, with the connivance of stupid FBI Directory Comey who kept the email scandal alive. Of course the opposite is true: the media was super pro-Hillary, with the connivance of sleazy FBI Directory Comey who did whatever he could to deaden the email scandal. Victor Davis Hanson on Why Trump Won. A good summary. The man can write. Democrats head for civil war. Seething Bernie-ites want to purge the Clintonites; who in turn, blame the Bernie-ites for general childishness and not turning out to vote. Posted by V the K at 2:22 pm - June 24, 2016. The FBI has found no evidence that Omar Mateen was just a misunderstood closeted gay man driven to mass murder by the opposition of conservatives to gay marriage. The FBI has found no evidence so far to support claims by those who say Mateen had gay lovers or communicated on gay dating apps, several law enforcement officials said. Not that the FBI has exactly covered itself in glory in this case, but maybe you guys should consider the possibility that a man who swore allegiance to ISIS, who was raised by an Islamist father, and who has a long well-documented history of hostility toward non-Mohammedans might just have been motivated by a desire to commit an act of terror in the Name of Mohammed against Infidels. Posted by V the K at 11:14 pm - June 22, 2016. It was a unique offer by the Shiloh Shooting Range in northwest Harris County, just days after the shooting at the Pulse Nightclub in Orlando. 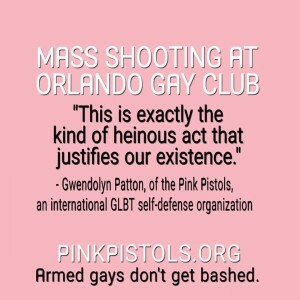 Shiloh offered free gun classes to the LGBT community and hundreds of people responded. 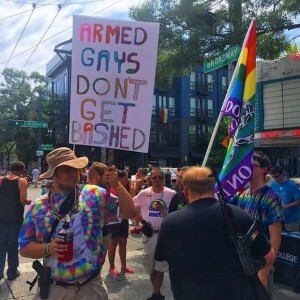 Maybe some gays will wake up and realize that the Democrats would happily disarm them and leave them at the mercy of terrorists. Did Omar Mateen Act Alone? Posted by V the K at 10:32 pm - June 22, 2016. This guy spells out things I have been wondering about vis-a-vis how does a single crazed Muslim Democrat gun down 102 people in a dark, noisy nightclub. How did an untrained novice, with a unfamiliar weapons, under incredibly adverse high stress conditions, achieve reload and accuracy rates, and most importantly a casualty count, that exceeded those of the world’s best competition shooters and special operators? How did he carry the necessary weapons and ammunition into Pulse Nightclub on a hot Florida summer night without arousing the suspicion of one patron, staff member, or bouncer before firing shots? BTW, Obama’s super-competent FBI and Department of Homeland Security seem to have lost track of the Muslim Democrat Terrorist’s wife. Oopsie! Posted by V the K at 9:53 pm - June 19, 2016. Obama’s Department of “Justice” is censoring Omar Mateens pledge of allegiance to the Islamic State from transcripts of the 9-11 calls from the Orlando Disco Massacre. Because leaving them in might lead people to conclude that the terrorist had pledged his allegiance to the Islamic State. The reason why we’re going to limit these transcripts is to avoid revictimizing those who went through this horror. But it will contain the substance of his conversations. Yes, Mohemmedans were the real victims of the Orlando Massacre, in the view of the left, because it disrupted their Ramadan holiday. We are not at war with Radical Islam. We have always been at war with Global Warming. Also, the chocolate ration will be increased to 30 grams next month. Posted by V the K at 8:55 am - June 16, 2016. The Truth About Guns diagrams Orlando Pulse and shows how it was so easy for Omar Mateen to rack up his body count. The combination of a Gun-Free Zone, Limited Egress Points, and one guy who held the door shut made his massacre a lot easier. Also the fact the Obama’s Government decided to turn him loose despite ample evidence of his terrorist intentions. It’s probably a good idea to always know how to get out of a crowded space quickly in the event of an emergency. It is probably a good bet that any large public gathering is a possible terror target. Except for NRA conventions and Gun Shows; those are probably safe. Wolves don’t like it when the sheep can shoot back. Posted by V the K at 10:05 pm - June 15, 2016. After his appearance at Florida Central University was canceled in a craven and cowardly act of submission to the more Terrorist-y factions of Islam, Milo Yiannopoulos went to a site near the Orlando Disco Massacre and gave a defiant speech. He argued that Islam as a whole, not just radical Islam, has a problem when it comes to treatment of gays. Yiannopoulos also spoke out in support of the Second Amendment, calling it “terrifying” that some people think fewer guns is the answer to ending terror attacks like the one that occurred Sunday. At the end of Yiannopoulos’ speech, comedian Gavin McInnes joined him in the spotlight and surprised everyone by sharing a very intimate kiss in an effort to anger Muslims who don’t like gays. BTW, did you know the Obama Administration annually sends billions of dollars in foreign aid to countries where homosexuality is punishable by death, and Hillary supports this. Posted by V the K at 7:19 am - June 15, 2016. A ban on all “semi-automatic firearms” would require the confiscation of hundreds of millions of lawfully owned weapons including pistols and hunting rifles. Ironic that a guy who was sent to a Japanese Internment Camp by a Democrat Government “for his own protection,” now totally trusts the Government* to take away his right to self-defense. Again, it’s for his own protection. Posted by V the K at 2:19 pm - June 14, 2016. A gay man’s speech about the violent Islamic threat to gay people has been cancelled because of the violent Islamic threat to gay people. Posted by V the K at 3:38 pm - June 13, 2016. The Gay Left continues to contort itself like a Cirque du Soleil act to find away to blame “Right-Wing Christians” for a mass murder committed by a Muslim Democrat. Chad Griffin, president of the Human Rights Campaign, told MSNBC today that what happened in Orlando was an example of the toxic mix that occurs when a “deranged, delusional person is taught to hate” by a “preacher on Sunday morning in church or by a politician.” Actually, no “Sunday preacher” taught mass murderer Omar Mateen to hate; we can be sure, however, that radical Islamic propaganda did. By the way, Sally Kohn woke up this morning and asked herself, “Can I possibly tweet anything more stupid than I Tweeted yesterday?” And damned if she didn’t succeed. And homophobia is homophobia is homophobia is homophobia is homophobia. Words mean themselves. Brilliant. Whatever CNN is paying you isn’t enough for that kind of heady intellectual depth. Posted by V the K at 9:52 am - June 13, 2016. Milo will be giving a speech in Orlando later this week called ‘Absolutely Haram.’ He wrote yesterday on the slaughter. Obama’s response to the tragedy today was similarly limp-wristed. He made no mention of Islam or Muslims, instead condemning “hate and terror” and taking a brazen swipe at gun rights activists by noting how easy it is to let people get their hands on a weapon. He didn’t even address the uniquely homophobic character of the attack. What a good liberal! The Christian Right may not be totally down with homos, and Trump may say things that hurt our delicate feelings, but they aren’t going to kill us or put us in camps. Only Islam would do that; the same Islam that, bizarrely, now stands at the top of the left’s hierarchy of victimhood. Liberals: the problem with putting Muslims at the top of your victimhood hierarchy is that THEY WANT TO KILL EVERYONE ELSE ON THE LIST. Western capitalist democracy gave women and gays equal footing in society; Islam has arrived to roll the clock back. Posted by V the K at 8:00 am - June 13, 2016. Obama’s FBI interviewed the Muslim Democrat terrorist three times on suspicions that he was involved in terrorist activity, but let him go each time. Florida Law Enforcement gave the Muslim Democrat terrorist a license to work as an armed security guard despite a history of domestic violence and erratic behavior. Orlando Police waited outside the nightclub for three hours while the Muslim Democrat terrorist murdered people on the inside. 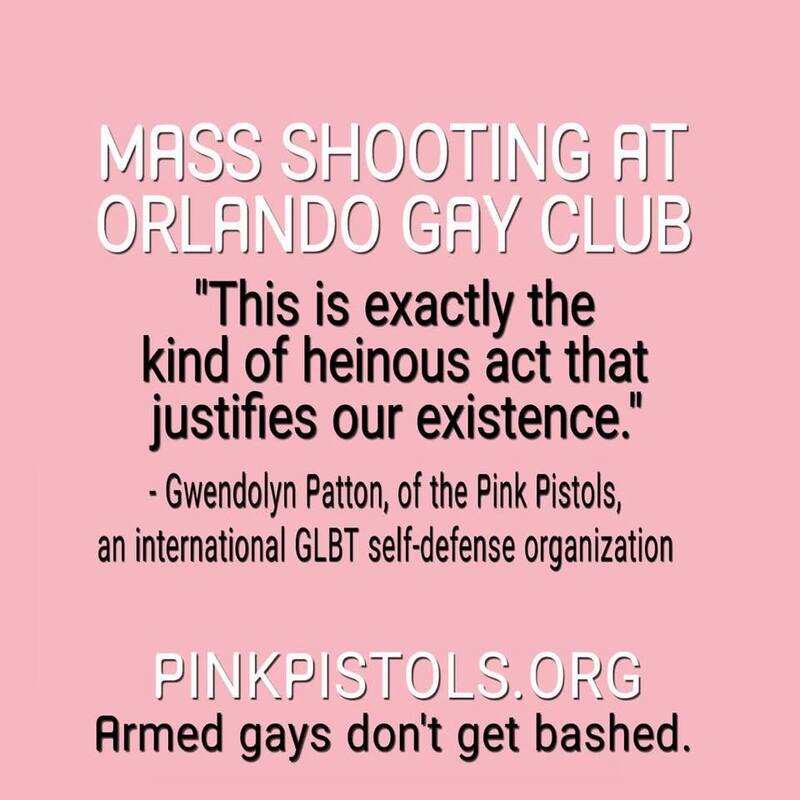 And the response of the Gay Community is to demand that *we* be disarmed and trust the Government to protect us? 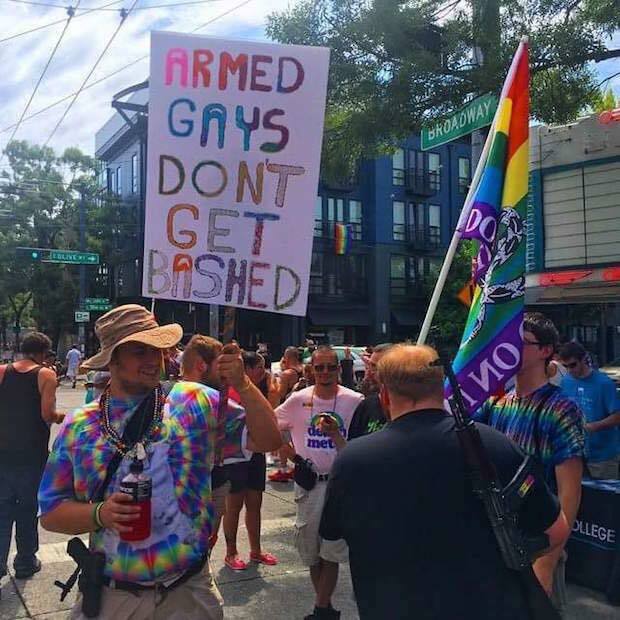 Buy yourself a gun before the Gay Community makes any other bright decisions for you. Posted by V the K at 7:43 am - June 13, 2016. I understand the Orlando Area Gay Community will be holding a candlelight vigil for Muslims who may suffer from suspicion and hurt feelings as a result of Sunday morning’s attack. Posted by V the K at 10:25 am - June 12, 2016. The terrorist in the attack on the Orlando gay nightclub has been identified. Police identified the attacker as Omar Mateen, a 29-year-old from Port St. Lucie, Florida – more than 100 miles away from Pulse. His family is from Afghanistan, while Mateen is believed to have been born in the United States. The left is frustrated as, yet again, the terrorist is not a White southern Christian who bought his weapons from the NRA. That would have been a Grand Slam, of course. But belonging to even one of those categories would have been an excuse to condemn all members of those groups by implication. Instead, there will be an effort in the media to assure as that he was a “lone wolf,” and that his actions are completely contrary to the peaceful religion of Mohammedism. It’s the “No True Muslim” defense. I understand the police even hauled an Imam to the press conference to assure everyone that violence in Islam is all but unheard of. Dylann Roof: White southerner. All symbols, remembrances, and memorials to the Confederacy must be eradicated. Omar Saddiqui Mateen: Self-radicalized lone wolf. We must guard against backlash. And then, Donald Trump’s rhetoric will be blamed, if it hasn’t been blamed already. 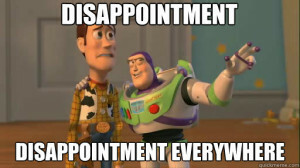 Sorry I have to go there, but we’ve seen this show before, and we can always guess the ending from the first act. This is a horrible event. But we live in an extremely unsensible time with a corrupt media and a corrupt Government. One way or another, every horrible event will be twisted to support a corrupt leftist agenda. Acknowledging that fact may be insensitive to the victims, but it the only sensible thing for people who care about liberty to do. Meanwhile, the Obama Administration continues to import 250,000 Mohammedan immigrants and refugees into the country every year; which we can totally afford to do since jobs are so plentiful and the Government has so much extra money laying around. And if there are a few rotten figs among the “widows and orphans,” that’s OK because the DHS and the FBI are doing such a fantastic job at stopping Muslim “lone wolf” terror attacks. Update: “No one could have predicted this, it could have happened anywhere” said the Imam at the Press Conference. I would take that as a warning. Update: Mir Seddique, Mateen’s father told NBC, “This has nothing to do with religion.”. Seddique said his son became angry when he saw two men kissing in Miami a few months ago. He believes that incident may be related to Sunday’s shooting.